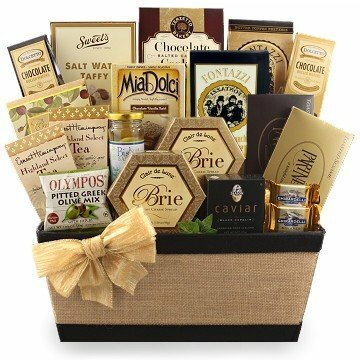 This incredibly high-end basket includes everything you might need to show appreciation or to celebrate a special occasion. 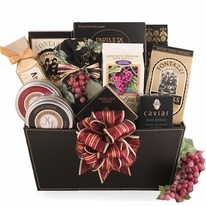 The Ritz gourmet gift basket makes you feel like you are visiting The Ritz with caviar and brie cheese and crackers, as well as some sweet treats and delicious snacks. 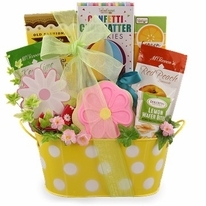 This basket is the perfect gift to send to friends or family or to bring to any type of gathering. 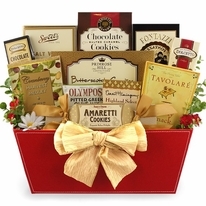 All of the wonderful items are expertly designed inside a canvas and faux leather container. 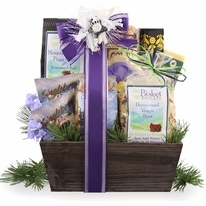 View the Details tab to see everything that�s included in this upscale basket!